Andrew Castle has had great success in both the world of sports and as one of Britain’s most popular television and radio presenters. He brings professionalism, knowledge and humour to any presentation and is an ideal choice for corporate events, conferences, as an after-dinner speaker or awards host. Andrew Castle is one of the most experienced live broadcasters in the UK. 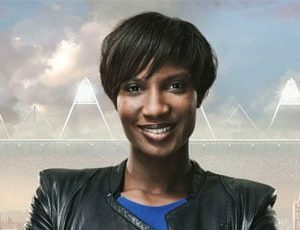 He presents the breakfast show slot on Smooth FM every weekday morning and has been the BBC’s lead tennis commentator for over ten years. After retiring from professional tennis in 1992, Andrew was a commentator and presenter for BSkyB before joining GMTV in September 2000 where the sofa was his home for ten years as he interviewed everyone from Tony Blair to the Rolling Stones, Vera Lynn to Beyonce. 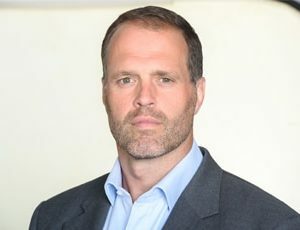 Andrew also led the station’s coverage of the Iraq War and the Al Qaeda bombings in Madrid, showing himself versatile enough to cover both ends of the spectrum: celebrity interviews to hard-hitting journalism. Throughout this time, Andrew was invited to take part in some of the UK’s best loved shows, such as BBC’s Strictly Come Dancing in 2008 and ITV1’s 71 Degrees North in 2010, as well as Mastermind, Who Wants to be a Millionaire, Masterchef and others. He was also the presenter of ITV1’s quiz show Perseverance in 2006, a second quiz show Divided in 2009 and a regular guest presenter on Channel 5’s popular panel show The Wright Stuff. Andrew’s career has also seen him work on ten Wimbledon Men’s Singles Finals alongside John McEnroe, Jimmy Connors, Boris Becker and Tim Henman. The final frequently attracts over ten million viewers and has had multiple BAFTA nominations. Andrew still plays tennis at a high level and is a regular in the Men’s Senior Championships at Wimbledon, playing with John McEnroe and Tim Henman. In addition, he plays in The Statoil Masters at the Royal Albert Hall and at the Hurlingham Club pre Wimbledon. As Virgin Active’s tennis ambassador, Andrew has frequently played in their exhibitions as well as speaking at the group’s racquet facilities across the UK. Andrew supplements his television, radio and broadcasting work with after-dinner speaking and award show hosting; his past clients include Barclays, The Sunday Times and BP amongst other household names. He is a hugely entertaining speaker, auctioneer, inspirational & motivational speaker and a professional host and MC, which makes him renowned on the corporate circuit.